This photo story charts the story of the Apollo 11 from the start, when JFK announced his intentions, to the end, when the team celebrated the successful mission. Enjoy. No one ever went to the moon! 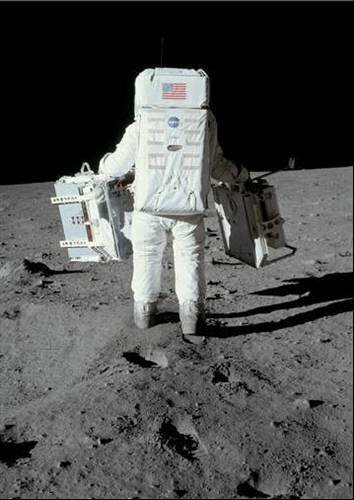 I can't believe in this day and age how anybody could believe that man walked on the moon! It was impossible to go to the moon in 1969 and it is impossible to go to the moon today. Guys, if you want to be impressed by a highly realistic Apollo mission space simulation have a look at www.Space-Simulator.com. You can be in the command seat playing the AGC or just sit back and enjoy the amazing graphics. Hope you like it as much as I did!